"With his Career Skills Events, Brett has skillfully brought all sides of industry together in a shared vision, management, labor, union and nonunion all working together towards the common goal of bringing the next generation into the skilled trades." "Mr. Melvin’s vision of a full day of enlighten students to our entry partners beautifully with the staffing needs of industry companies." "From that first event Brett continued to make each consecutive event bigger and even more successful. He is always a great partner who is well connected with all the key stakeholders and I have no doubt he will do with Bridging America’s Gap what he did with Lift & Move." "Brett believes deeply in the need to promote opportunities for young people in vocational and skilled jobs - to bridge the skills gap - and believes that industries can take positive actions to make this happen." "The thing about Brett is that he understands the struggles that the companies in need of skilled workers are going through." "Brett strongly believes in this initiative and it shows in the hard work he puts in." 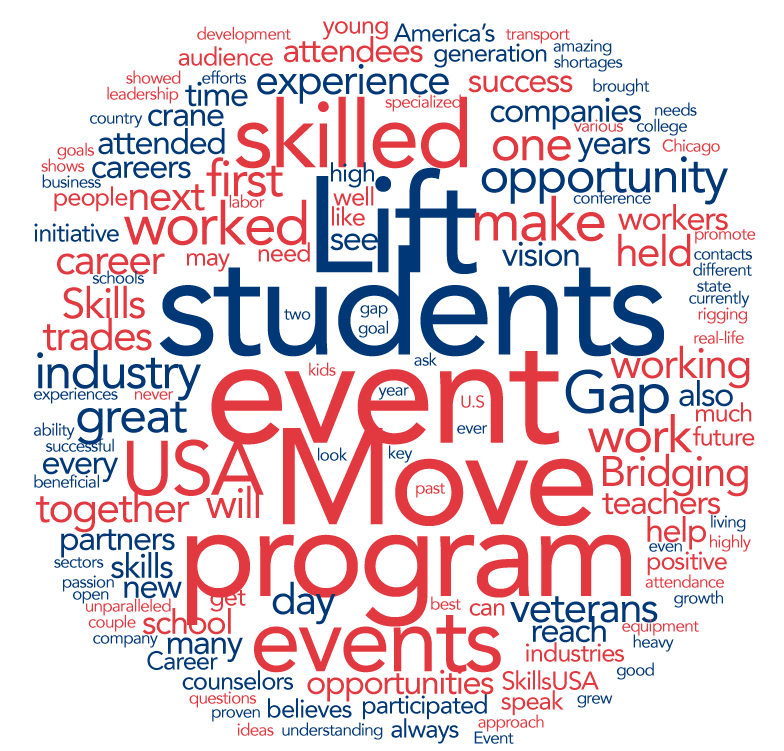 "Brett Melvin was instrumental in coordinating the Lift & Move events that I attended, and it was clear that at each event, he took the learnings from a previous event to make the next one even better."